Flanking Yogyakarta on opposite sides, the ancient Buddhist temple of Borobudur lies in the west and the Hindu temple of Prambanan sits to the east. In the spirit of convenience, we reluctantly signed up for a tour to visit both temples in one day. If we had the chance to do it over again, though, we definitely would have tried to do it ourselves. As we learned from a fellow traveler, the local bus from Yogyakarta to Borobudur is extremely straightforward and the bus driver will tell you when it’s your stop, which is only 500 meters from the temple entrance. Also, there is apparently an inter-temple bus from Borobudur to Prambanan, but since our tour included transportation, we weren’t on the lookout for directions. Upon confirming our destination of Borobudur, we got in and were on our way, with a short stop to pick up only two other tourists. Being so near to the equator, the sky started to lighten quickly and we knew the promise of a sunrise at Borobudur simply meant that we’d be able to see the sun rising above the horizon, rather than our preconceived notion that we’d witness dawn breaking. Regardless, we were very grateful for the clear morning skies, an oddity in the rainy season. After we received our entrance tickets, arranged through our guide in a bit of scam, we hustled past the manicured gardens to reach the top of the temple, while the mystical fog hung in the air. 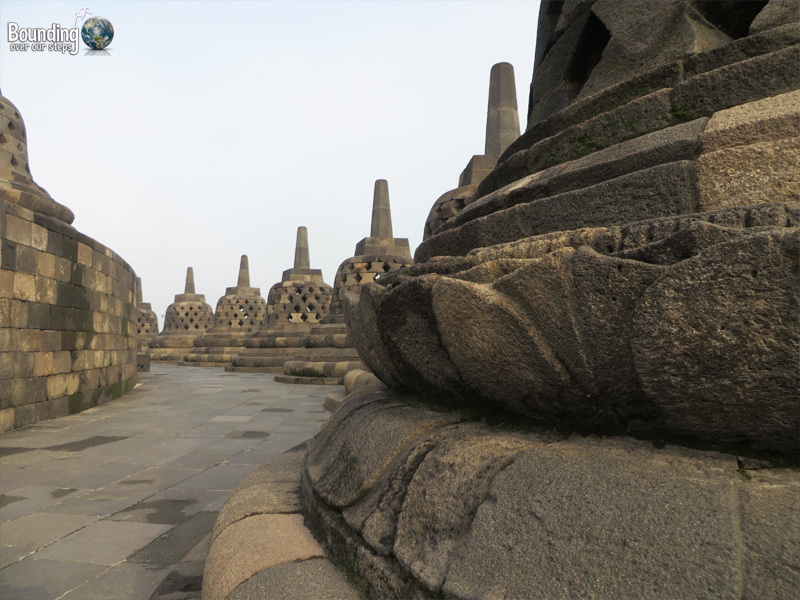 Borobudur was built in the 9th century and consists of nine platforms, the uppermost 3 of which are circular, while the remaining levels are square. Adorning each platform are intricately carved panels. What we loved most, however, were the Buddha statues encased in windowed stupas. Interestingly, and sadly, some of these statues sit headless, victims of looting from when the temple complex was rediscovered in the early 19th century under thick volcanic ash and jungle growth. 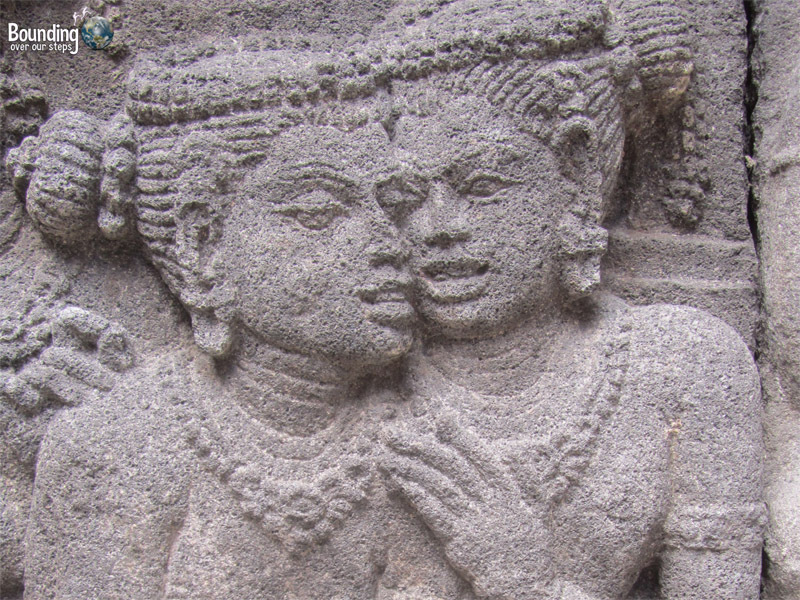 Today, the temple is protected by UNESCO World Heritage status. Borobudur is the largest Buddhist temple in the world, and is supposedly overrun with visitors and pilgrims during the dry season. We were lucky to have shared the platforms with only a handful of others, allowing for people-less photo opportunities. 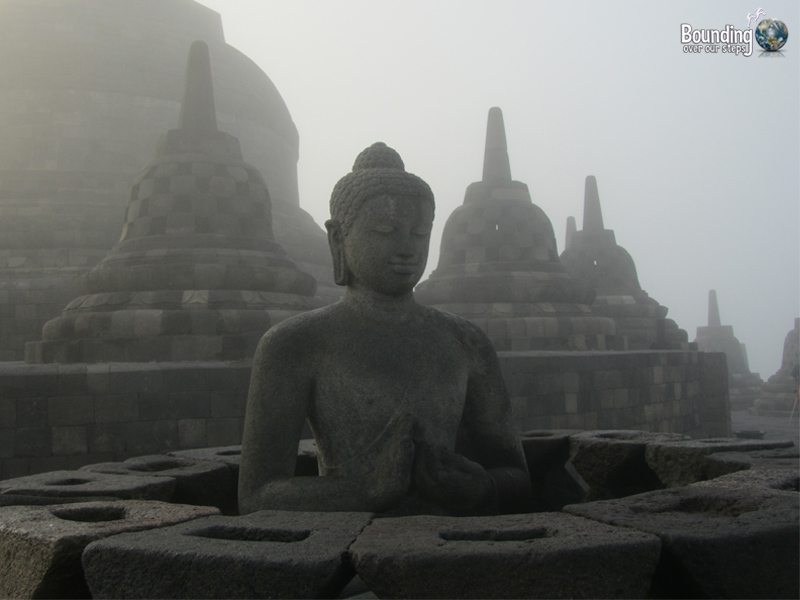 When the sun burnt away all the mist, and busloads of school groups had taken over each level, we knew it was time to leave Borobudur. We walked through the barren marketplace, grateful that the shop owners hadn’t opened their stalls yet, and found our driver. 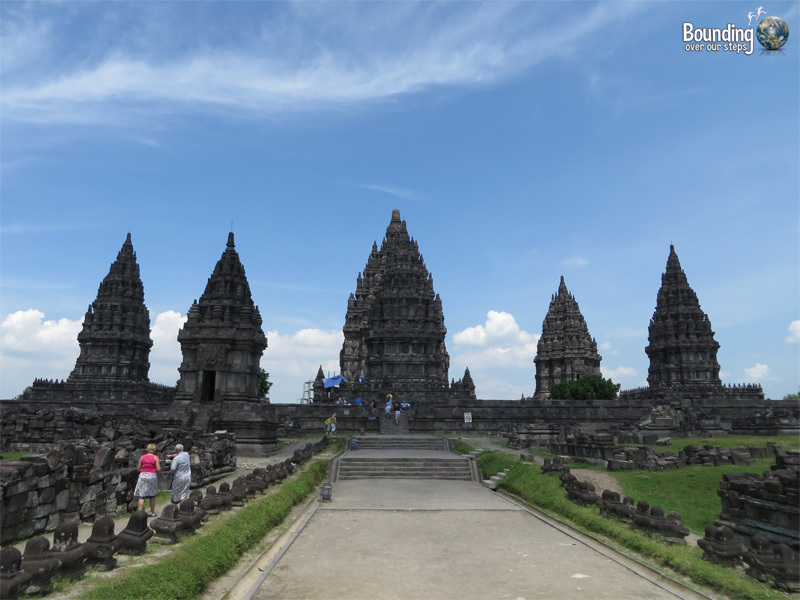 The next stop was Prambanan, a Hindu temple also constructed in the 9th century. From a distance, the temples look like Gothic cathedral spires, but as we approached, the unmistakable qualities of Hinduism emerged. The bas relief stone panels tell the stories of Ganesha, Wisnu and certainly others, but we would have needed a guide for those. The architecture is reminiscent of Angkor Wat, which is understandable, given that both sites were influenced by the same religion. Since we visited Prambanan immediately after Borobudur, and we had had such an early start, we found ourselves leisurely strolling through the complex in the heat and extreme brightness of the midday sun. That not only made it rather hot, forcing us to take a number of rests in the shade, but it also didn’t lend itself to ideal lighting for pictures. Visit the temples on your own using cheaper public transportation. 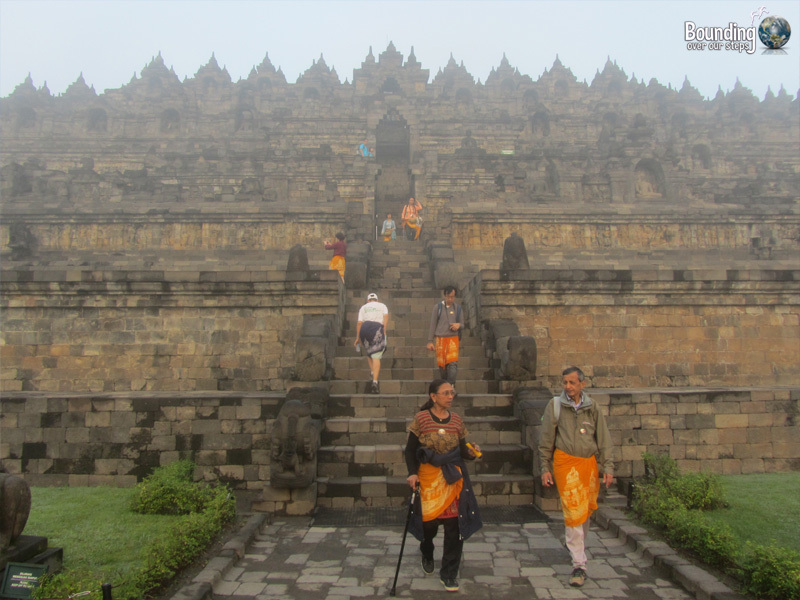 Break up the visits so that you’re exploring the multi-tiered platforms of Borobudur in the early morning and Prambanan in the late afternoon for sunset, which we were told is splendid. Check the events schedule for Prambanan, as performances of the Ramayana ballet are held 3-4 evenings per week. If you do opt for a tour, try to pay entrance vouchers through the tour agency, which can give you a savings of 10-15%. Alternatively, insist on paying for the entrance tickets directly at the ticket window yourself. 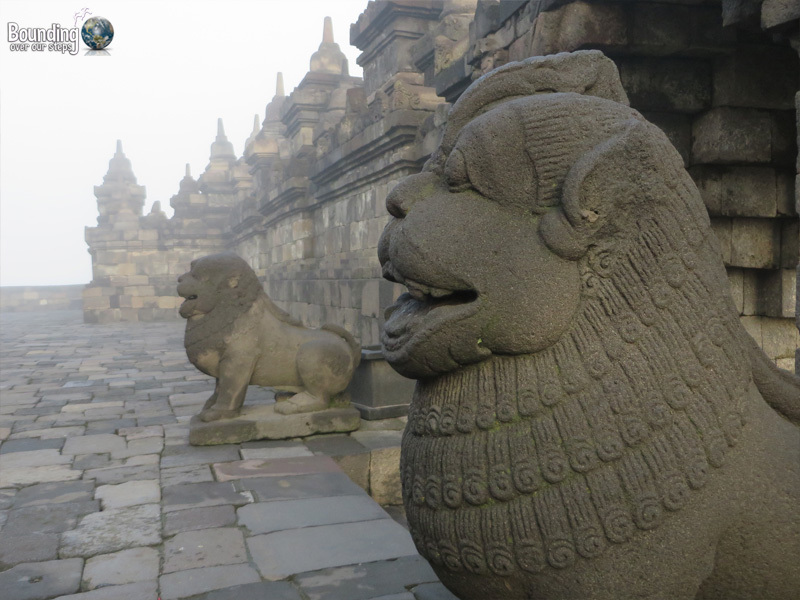 Have you been the temples of Borobudur or Prambanan? These temples are beautiful. Thank you so much for the tips!! I really need to get back to Indonesia — so much to see! 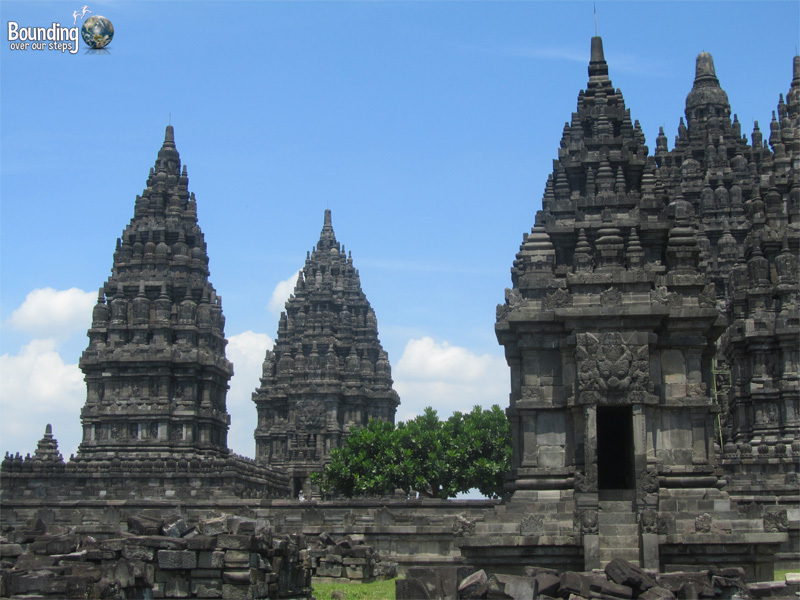 Gorgeous temples and another reason to visit Indonesia. I just love reading your blog! And even the pix you feel are “poor” still convey the feeling of the place. Thank you so much for doing the work to share your adventures with your very lucky readers! Ugh, midday sun is the worst for temple photography! And yet I find myself hitting temples around noon time after time 🙂 When will we learn?